(dongle supplied) or an iPAd, iPhone or Android device. MPOS-BS6709B can communicate with all kinds of smart phones and tablets with popular iOS and Android OS,Also PC,smart phones and tablets with primary Windows XP / Win 7.0 / Win 8 win 10 OS etc. 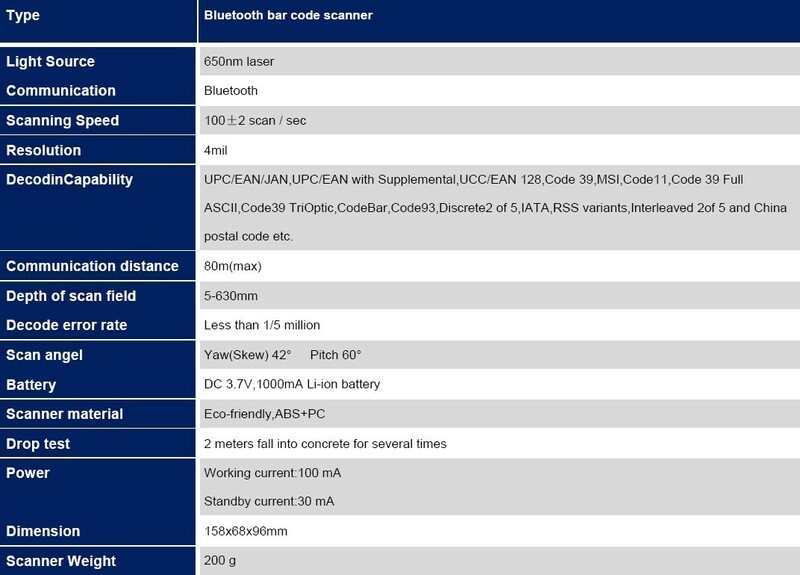 With flash memory,it can save thousands of barcodes off-line,and transfer data to your device at a time after bluetooth connection.MJ-6709 is the best choice of high-quality demand and wireless & mobile solutions. Click the button below to add the Wireless Bluetooth Barcode Scanner for iOS, Android or PC to your wish list.